This is typical for the Mets. When will they realize that if you keep putting the same injury plagued players on the field then you will keep losing them. They refuse to change the roster and get productive, healthy players. Flores has not had back problems in the past so I’m not sure what you’re ranting about. That’s such a dumb statement. Ok, not every day but u don’t want him on the roster? He is very valuable as a bench and utility man. The Mets roll out the same team every year and the same thing happens to them every year. They have a mediocre offense, Cespedes gets hurt right away, they build no bullpen and the bullpen they do have is incapable of throwing strikes. Every game in the 7th inning or later where their lead is 3 runs or less is practically a loss every time. They never have depth because all their depth pieces have to be regulars by the middle of May. Until Sandy knows how to assemble a bullpen with real major players they’ll never win. The one piece they had was Reed but he was too expensive. He was essentially replaced with Ramos, a guy who can’t throw a strike and had been a throw away for the Marlins. 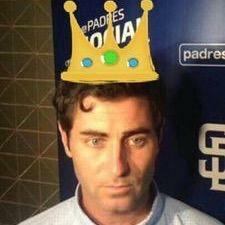 How many Padres do we have to watch hurt themselves because of maniacal BP and extra work? Hedges,Renfroe,Cordero,Myers…..be smart. They’re all going to go down with TJ surgery eventually at this rate. The funny thing is all of these guys with forearm/elbow soreness are position players and not pitchers.